An intervention in the public space that took place in two sites simultaneously in the 1st of July (2013); Santa Catarina street in Porto and Conde S. Bento street in Trofa, both emblematic in this cities. As a temporary intervention, this Happening last for the day, from 11 am to 20 pm. 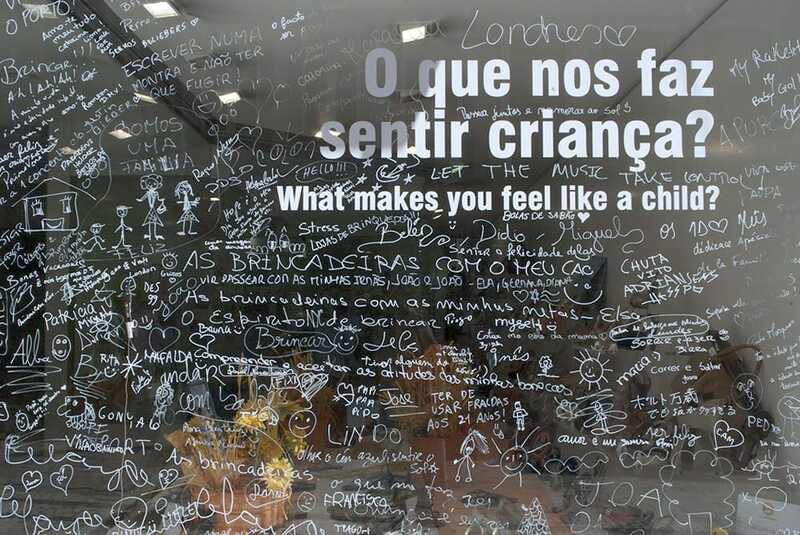 As a relational device, the public intervenes directly in the shop windows writing in white marker the answer to the question “What makes you feel like a child?”, attached in vinyl sticker. A total of twelve stores joined this initiative.